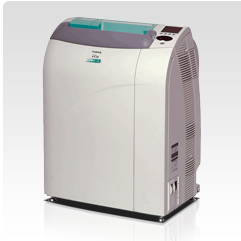 It can process up to 94 images per hour – yet it fits right into small exam rooms or offices where space is limited. The FCR XL-2 can handle even the busiest periods in your office. The FCR XL-2 is capable of producing high resolution (50 micron) scans for 18x24cm and 24x30cm sizes, making it ideal for orthopedic and extremity applications where seeing fine detail is critical.